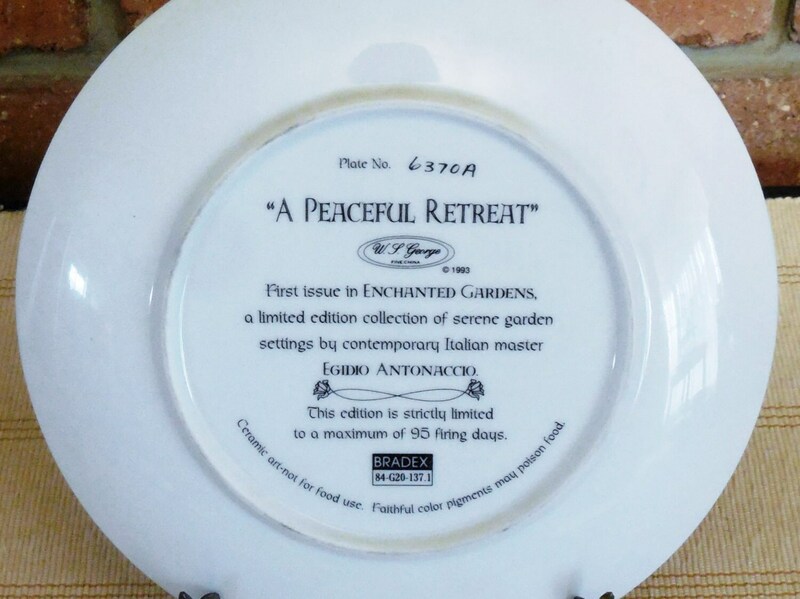 Beautiful limited edition porcelain plate by Italian master Egidio Antonaccio - titled 'A Peaceful Retreat' from the Enchanted Gardens collection. These plates were only made for 3 months and have long since been discontinued. 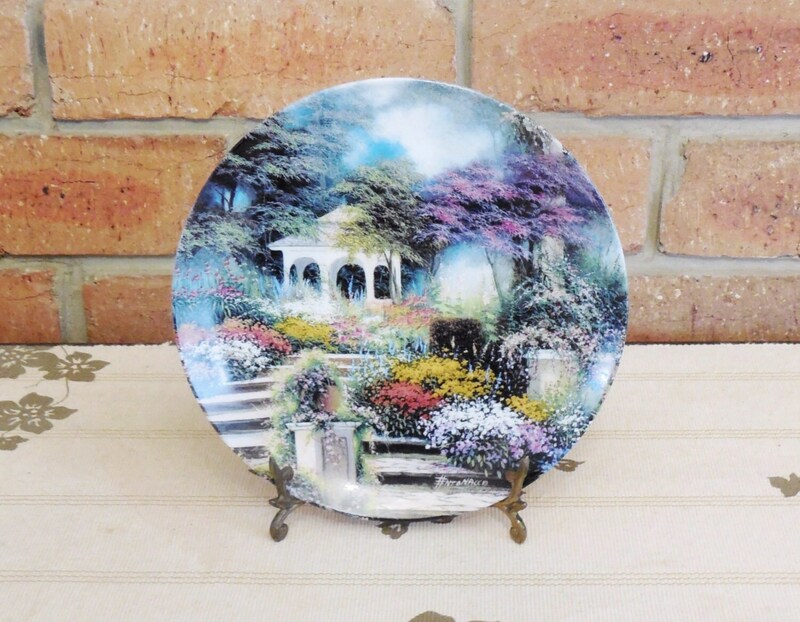 The plate is numbered 6370A and is completely undamaged, with no wear to any of the exquisite paintwork or 24K gilt edging. It measures 20cm across.